Manufacturer of a wide range of products which include solar water pumps and aquasub solar motor pumps. The finest range of Solar Water Pumps made available by us in the market, is widely known to be amongst the finest that are available in the market. Its eco friendly nature, capacity, strength and performance, is highly praised. 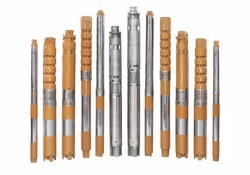 In addition to this, the offered range, with highly standardized quality, is marked at the most reasonable rate possible. We are Providing the range from 3HP, 5HP, - 60 HP . Suitable for Drip irrigation We can also run air-compressor and bore well compressor We can able to pump water more than 8 km Fully automatic option Build in MPPT algorithm Provision for EB or Genset supply. We are looking enquiry from Tamilnadu, Kerala, Andhra pradesh and Karnataka. we are Authorized distributor of Aquasub ( TEXMO ) Solar Motor Pumps . 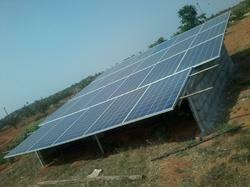 we are supplying solar power plant along with Aquasub solar motor pump. Looking for Solar Water Pump ?